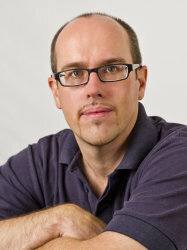 Dr Jeff Hardy is a Senior Research Fellow at the Grantham Institute - Climate Change and the Environment at Imperial College London, where he researches what the future low carbon energy system might look like, how people will engage with it and what businesses will be operating in it. Previously he was Head of Sustainable Energy Futures at the GB energy regulator, Ofgem, and Head of Science for Work Group III of the Intergovernmental Panel on Climate Change. He’s also worked at the UK Energy Research Centre, the Royal Society of Chemistry, the Green Chemistry Group at the University of York and at Sellafield as research chemist in a nuclear laboratory.